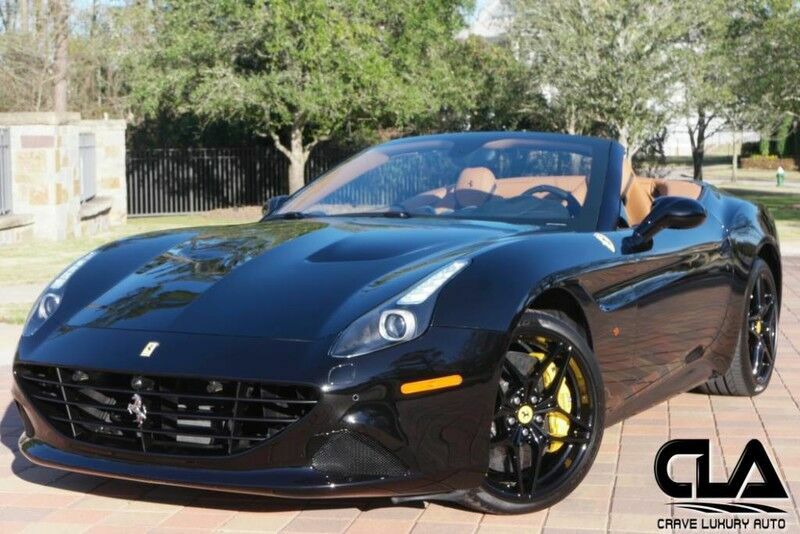 Client Advisor - Very well equipped 2016 Ferrari California T Only 3,099 miles! Original MSRP of $273,341.00 This Nero/Couio California T's options include: Yello Brake Calipers Carbin Fiber driver zone Carbon Fiber Central Bridge Carbon Fiber Steering wheel with LED's Carbon fiber Dashboard inserts Horse stitched on headrestInner color door panel trim inner color rear leather trim Scuderia Ferrari Shields Magneride Dual mode suspension20" Forged sport wheels Yellow rev counter And an additional $29,609 in other options! This Cali T also has both keys, books, car cover, charger, wind screen and 3M clear bra added. This Ferrari like all previously owned vehicles here at CLA went through our own rigorous inspection process performed by our Master Technicians. Call to schedule your appointment today! Crave Luxury Auto is located Just north of Houston, Tx in The Woodlands. Our service center is just across the street from our showroom. Please call us with any questions you have in regard to this vehicle at 281-651-2101.